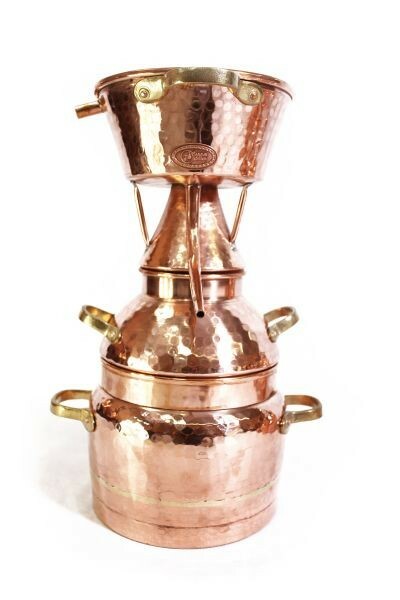 This fantastic and uncomplicated alquitara still is built according to antique models and consists of a riveted, 3 liter boiler which is sealed with organic material, and the condenser is top-mounted. 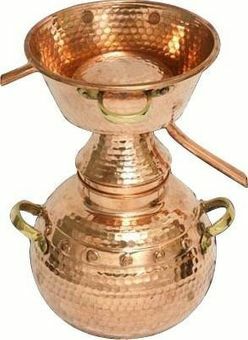 In Portugal, Italy und southern Spain people distil even nowadays using this simple and efficient method. 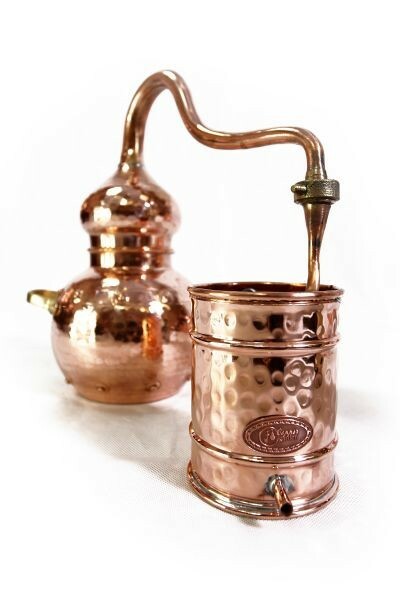 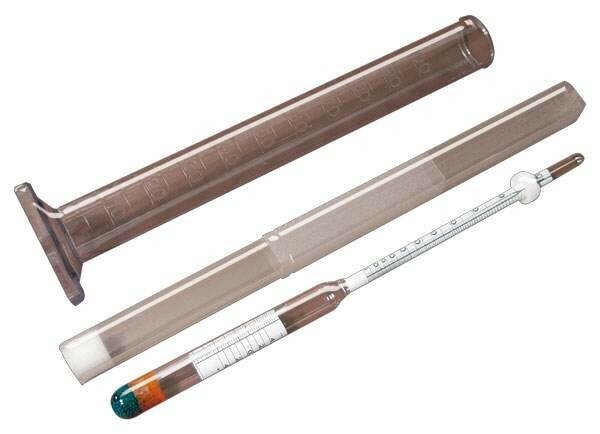 Since the distillate condenses very quickly again in the top-mounted condenser after evaporation during alcohol distillation, a very flavouful product can be obtained.